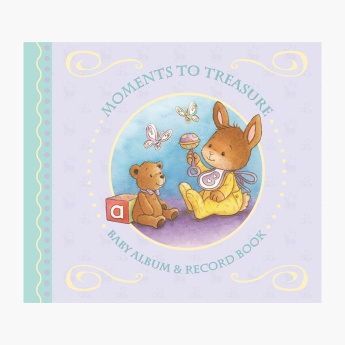 Award Moments to Treasure Baby Album and Record Book | Multicolour | Helps to keep memo. Record your litlle one 1st year special memory with these books . Special moments will be more exceptional when you maintain a record of your angel's growing months in this book. The book helps to record pictures and events and secure them with a lock. Feature 2 : Keep your special moment picture and event lock in this book . Feature 1 : Helps to keep memo. Record your litlle one 1st year special memory with these books .